Mantua, 27 October 2017 – The Board of Directors of Piaggio & C. S.p.A. (PIA.MI), at a meeting today chaired by Roberto Colaninno, examined and approved the interim report on operations at 30 September 2017. Compared to the corresponding period of 2016, at 30 September 2017 the Piaggio Group saw a net improvement in performance and a reduction in debt. Consolidated net sales of the group totalled 1,057.3 million euro, an improvement of 2.5% from 1,031.7 million euro at 30 September 2016. The industrial gross margin at 30 September 2017 was 327.1 million euro, up by 5.6% from 309.9 million euro at 30 September 2016. The return on net sales was 30.9% (30% at 30 September 2016). Operating expenses sustained by the Group at 30 September 2017 amounted to 258 million euro, up (3.4%) with respect to data from the corresponding period in 2016, due to the rise in amortisations. Net of amortisations, operating expenses at 30 September 2017 saw a reduction of 0.4% with respect to 30 September 2016. The changes in the income statement described above generated consolidated EBITDA of 159 million euro, up 12.4%with respect to 141.5 million euro at 30 September 2016. The EBITDA margin was 15% (13.7% at 30 September 2016). EBIT at 30 September 2017 was 69.1 million euro, an increase of 14.3% (60.5 million euro at 30 September 2016). The EBIT margin was 6.5% (5.9% at 30 September 2016). At 30 September 2017, the Piaggio Group posted a pre-tax profit of 44.1 million euro, up 31.2% compared to 33.6 million euro at 30 September 2016. Income tax for the period was 19 million euro, with an impact on pre-tax profit of 43%. The Piaggio Group made a net profit of 25.1 million euro at 30 September 2017, an increase of 31.2% compared with 19.2 million euro at 30 September 2016. Cash generated at 30 September 2017 was 60.2 million euro (28.6 million euro at 30 September 2016). Net financial debt at 30 September 2017 stood at 430.7 million euro, an improvement of 60.2 million euro from 491 million euro at 31 December 2016 and of 38.8 million euro from 469.5 million euro at 30 September 2016. In the first nine months of 2017, the Piaggio Group made investments of 55.6 million euro (65.7 million euro at 30 September 2016), of which 35.2 million euro were for R&D costs (35.5 million euro at 30 September 2016) and approximately 20.4 million euro for property, plants and equipment, investment property and intangible assets (approximately 30.2 million euro in the first nine months of 2016). The total workforce of the Piaggio Group at 30 September 2017 numbered 6,940 employees. The Group’s Italian employees numbered 3,492, substantially unchanged from the year-earlier period. In the first nine months of 2017, the Piaggio Group sold 426,700 vehicles worldwide, up by 3.7% (411,700 units sold at 30 September 2016), and generated consolidated revenues of 1,057.3 million euros, up 2.5%. At the level of geographical areas, the Group saw growth in revenues in EMEA and the Americas of +3.7%, and in India of +2.1% (-0.9% at constant exchange rates), a market that had experienced drops in previous months mainly caused by the demonetization policy of the Indian government as well as the reform of the Goods and Services Tax (GST). These increases more than offset the downturn recorded in Asia Pacific (-2.6%, -1.7% at constant exchange rates). 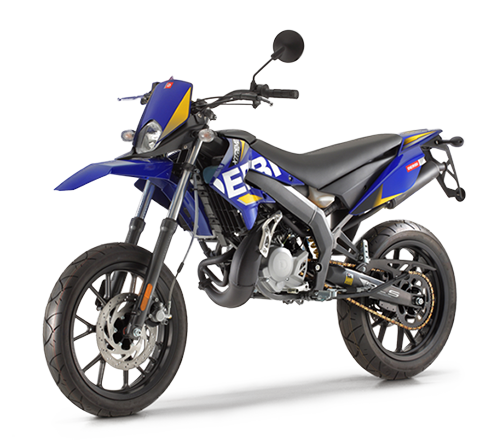 At 30 September 2017, the Group sold 299,400 two-wheelers worldwide, up 12.4% (266,400 at 30 September 2016), generating net sales of 771.8 million euro, an improvement of 5.7% (730 million euro at 30 September 2016). The figure includes spares and accessories, on which turnover totalled 101.3 million euro, an increase of 4% from the first nine months of 2016. 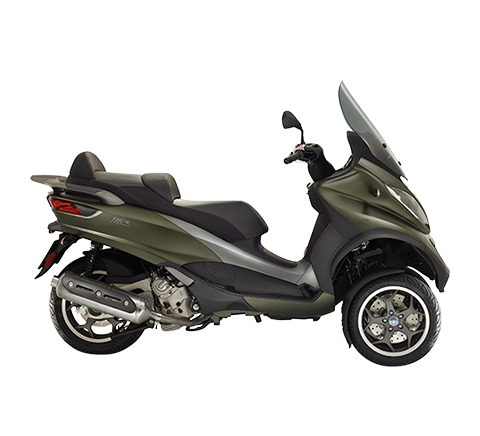 At 30 September 2017, the Piaggio Group maintained leadership in Europe with a total market share of 15.2%, up 25.4%, in sole reference to the scooter sector. 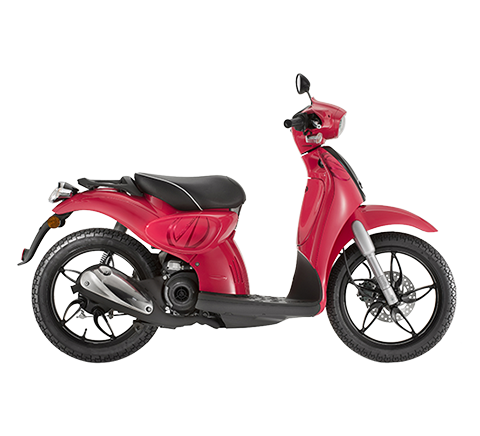 The Group maintained a particularly strong presence on the North American scooter market, with a share of 20%; it is also committed to strengthening its position in motorcycles in North America. On the Indian two-wheeler market, the Group more than doubled its sales volumes from the year-earlier period, thanks to the introduction of the new Aprilia SR 150 scooter and the excellent performance of Vespa. Analysing performance in Asia Pacific, Vietnam reported a decline in scooter sales volumes, while the Group expanded its offer in Thailand through its recent entry on to the motorcycle market with the introduction of the Aprilia and Moto Guzzi brands, flanking the already well-established scooter offer with the Vespa and Piaggio brands. Highlights in the scooter sector included the excellent results of the Vespa brand, which boosted worldwide sales by 11.4% with respect to the first nine months of the last year, and strengthened its presence on the EMEA market, with net sales growth of 16.5%, and in India, where it saw growth in revenue of 31.3%. 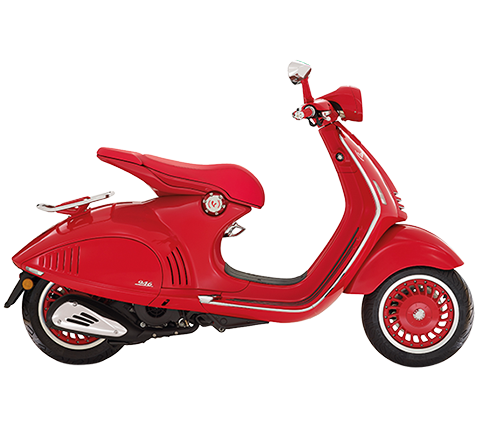 As also regards the Indian market, the Vespa brand has recently been enhanced with a new version, the new (VESPA)RED VXL model. Performance was also positive in high-wheel scooters (growth in volume of 6.4%), where the Group reported revenue growth at global level, largely thanks to the new Liberty and to the Beverly. 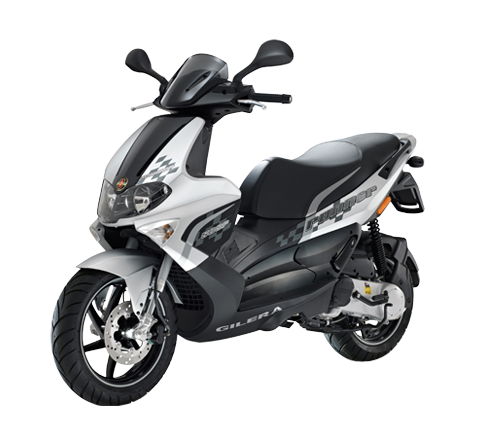 In the scooter sector, the Aprilia brand also saw positive results, especially on the Indian market thanks to the Aprilia SR 150 sports scooter. The motorcycle sector of the Group also made great strides. 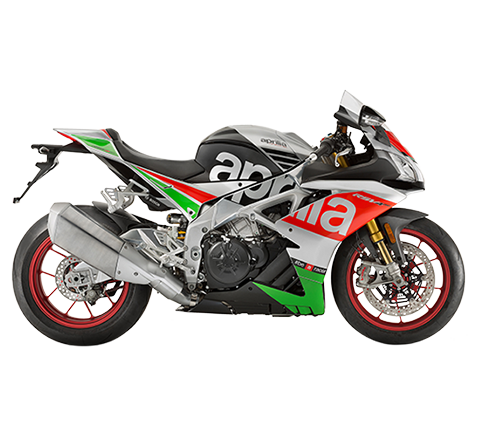 The Aprilia brand saw an increase in sales, in particular generated by the naked of the Tuono family, the new Aprilia Shiver 900 and Dorsoduro 900 (launched in June 2017), and the new 125cc, RS and Tuono, launched in April. 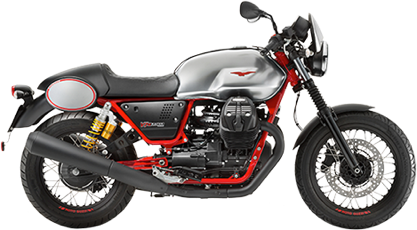 The revenue of Moto Guzzi was particularly driven by the positive sales trend of the V7, whose fiftieth anniversary this year has been marked with an ad hoc model. In the commercial vehicles sector, the Group sold 127,300 vehicles (145,300 units in the first nine months of 2016) for net revenues of 285.5 million euro (301.7 million euro at 30 September 2016). The figure includes spares and accessories, where sales totalled 34 million euro (33.1 million euro at 30 September 2016). While demand on the Indian market for three-wheel commercial vehicles is still falling as compared to the previous year - but with an upward trend, the PVPL subsidiary had an overall share of three-wheel vehicles of 28.7% (28.3% at 30 September 2016) and confirmed its leadership in the cargo segment with a share of 49.4%. In the first nine months of 2017, the PVPL production hub also exported 14,600 commercial vehicles worldwide. These sales arose in part in the EMEA and Americas areas and in part in the India area, in connection with responsibility for management of the individual markets. With regard to Piaggio Fast Forward (PFF), the Piaggio Group company based in Boston, which represents the research centre of the Group as regards future mobility, development continues on the first innovative projects, Gita and Kilo, presented in Boston on 2 February. They are intelligent vehicles that can move autonomously, designed to improve mobility productivity in increasingly complex urban developments, with a payload of up to 100 kilograms and an autonomy of 20 kilometres on urban roads. They accompany the user, map their surroundings and monitor other moving objects. In addition to that stated herein and communicated during the approval of the results for the first half of 2017 (Board of Directors of 28 July 2017), the main events of the period or subsequent periods are listed below. On 4 September, Piaggio Fast Forward was added to the Top 100 Most Innovative and Disruptive Construction Companies in the Robotics category thanks to "the strong technological boost of Gita". On 19 September, Piaggio & C. S.p.A. and Foton Motor Group signed an important preliminary agreement in Beijing for the strategic development of a new range of four-wheel light commercial vehicles. Following this agreement, a team composed of representatives of both parties are working to validate the production and marketing plan and prepare the contractual documentation with the objective - if the aforementioned activities prove successful - of finalising the technical documentation of the project and the related contracts by spring 2018. On 2 October, PFF was the only Italian company present at the World Frontiers Forum, the annual event that brings large international groups and companies together with the academic world and cultural institutions, all of which are characterised by a pioneering vision and products that can improve the future of the world. The WFF was held in Cambridge and at Harvard University. On 4 October, Piaggio was selected by Borsa Italiana along with 21 other listed companies for the Italian Listed Brands showcase. Based on this list, a new dedicated index will be created by FTSE Russell in coverage of the Italian market. The selection was made by Borsa Italiana on the basis of creativity, excellence, innovation and global appeal. growing the penetration of commercial vehicles in India and related sales in the emerging countries, aiming for further growth in exports to Africa and South America. From the technological viewpoint, the Piaggio Group will continue research on new solutions to current and future mobility problems, through the work of Piaggio Fast Forward (Boston) and new advances in design at PADc (Piaggio Advanced Design center) in Pasadena. At a more general level, the Group maintains its commitment – a characteristic of recent years and continuing in 2017 – to generate higher productivity through close attention to cost and investment efficiency, in compliance with its ethical principles. The presentation of the financial results as at and for the six months ended 30 September 2017, which will be illustrated during a conference call with financial analysts, is available on the corporate website at www.piaggiogroup.com/it/investor. The Piaggio Group consolidated income statement, consolidated statement of financial position and consolidated statement of cash flows as at and for the six months ended 30 September 2017 are set out below.